“Dark brown po,” he said. I asked him to sit on the bed so I could hear his breath sounds better. 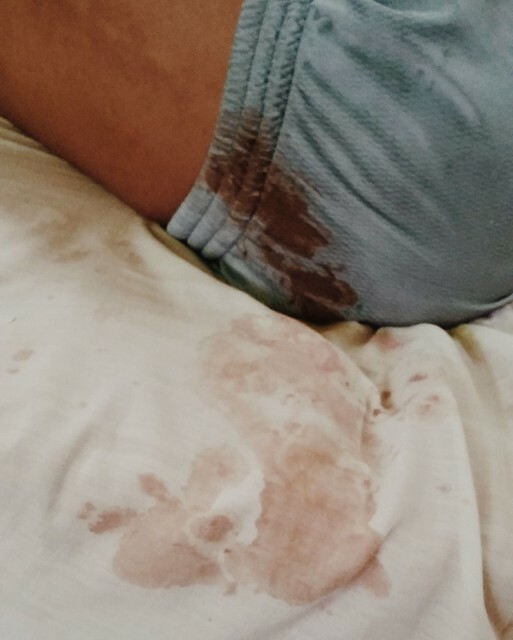 I saw on his bed sheet what looked like dried blood, and for a moment I felt my heart leap. I imagined calling the GI fellow for a stat referral, finding vials of omeprazole IV inside the lockers of my colleagues (my supply had been exhausted in the last few months), and pleading my friends from the Blood Bank to give me more blood for transfusion. Unfazed, I continued on with my physical exam, without looking—I hope—with a sliver of panic. But his blood pressure, heart and respiratory rates were within normal. He didn't look as pale as he had been when I saw him at the clinic. I probed further. If there’s one thing internists are good at—and, paradoxically, sometimes not good enough at—it is in asking questions. “Maraming dugo ba ang naidumi mo?” I asked. Relieved, I moved on to the next bed. I may have craved for a piece of chocolate at the time.